She was introduced to Real Housewives of New Jersey fans when she joined the show's cast in 2011. She started a line of desserts in 2012 called Dolci Della Dea. She grew up in New Jersey with her sister Rosie, who later came out as a lesbian. She worked as a hair stylist and her husband pumped gas. This was discovered after the couple's appearance on the show. She has a sister named Rosie and three brothers. She had two children, Joseph and Victoria, with her husband Richard Wakile. 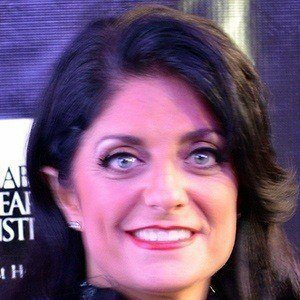 She was the cousin of fellow Real Housewives of New Jersey star Teresa Giudice.